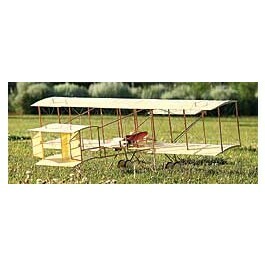 Description: Re-create pioneering aviation in your backyard! Designed by Pat Tritle, the Farman Standard Type IV Biplane is a very true-to-scale replica of a pioneering aeroplane. It uses traditional stick-and-tissue construction methods and isn't too difficult to build. 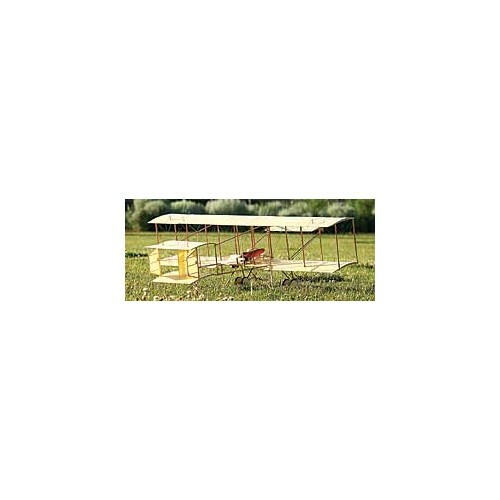 It can be flown indoors in a large gym or outdoors in calm conditions. Wing Area: 445 sq. in. Wing Loading: 3 oz./sq. ft.